For most people, buying a home is a huge decision, and a very emotional process. It’s more about plans & dreams than dollars & cents, but even so it’s often the largest financial transaction most of us will ever be involved in. And very few of us are fortunate enough to be able to pay cash for a home, so almost every home purchase involves a mortgage loan. As such, it is critically important that you get accurate & reliable information about how much you can afford to borrow. Indeed, the new Arizona Residential Purchase Contract requires that you include information about your loan program when you make an offer, so you really can’t get very far in the purchase process until you’ve researched your loan. The good news is that there is an ever-growing variety of loan programs. Fixed rate, variable rate, interest only, FHA, blended; whatever you need, there is probably a loan program that will work for you. In fact, most buyers find that they can get approved for a bigger loan than they really want to make payments on. Whether you are a first-time buyer or a seasoned veteran, your search process will be much smoother if you have good loan information from the beginning. For a good discussion of mortgage ABC’s, check out the ERA Answers Book. How can you be sure to get good information? Well, choosing a lender is a lot like choosing an agent. You need someone who is skilled at what they do, but you also want to find someone who you get along with well with, and who can explain all your options in a clear & simple way. As with any major decision, you will probably want to talk to a few lenders to be sure you are getting the best combination of rates & services. Talk to your bank, and ask your friends if they like the lender they used. If you want a recommendation, I think Hunt Mortgage does a fabulous job. I have used them myself, so I know first-hand the high level of service they offer, and my clients have been very happy with them as well. In addition to great rates and great service, they offer great convenience, since they share an office with me. That means you don’t have to drive all over town to take care of your loan needs, and it also means that we can ensure excellent communication throughout the loan process. 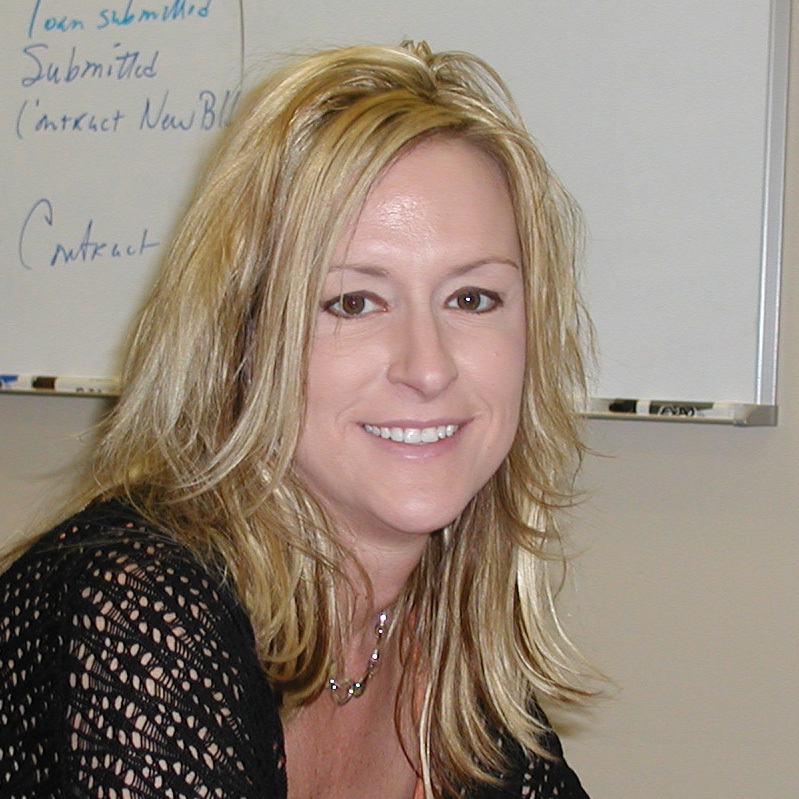 Stacey Melton is on hand to answer all your loan questions, explain your options, and get your loan closed on time. Please contact her directly when you are ready to get started. Service - We are a full-service loan company with an experienced staff to serve you. Value - Because of our low overhead, we are able to keep our rates extremely attractive. Convenience - Hunt Mortgage is located in the offices of Hunt Real Estate. We are staffed during the weekdays and offer weekend coverage as well. One Stop Shopping - Hunt Mortgage offers a true one-stop shopping experience. Programs Offered - We offer all types of loans. We are a loan broker, so we can shop from over 40 wholesale providers for the best programs available. Honest and Ethical - The value and culture at Hunt Mortgage is the same as Hunt Real Estate ERA. Both companies maintain the highest standards of ethics and honesty. You won't find any last minute surprises. Guaranteed Closing - Hunt Mortgage guarantees that all documents will be at title prior to closing or we will rebate the processing fee ($350). The only exception to that is if Hunt Mortgage does not cause the delay. Guaranteed Pricing - Not only are our rates great, but they are also guaranteed. The price we quote will be the price we honor. If not, Hunt Mortgage will waive all fees and commissions at closing.